Most orders ship out in 2-3 business days. Click on invitation for pricing and ordering. 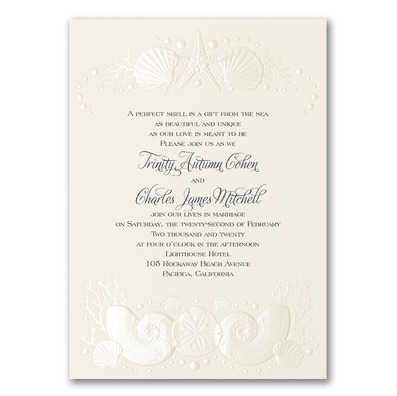 aqua filigree and shell design next to your wording. A navy blue pocket holds the invitation and your enclosure cards.